Michael Phelps wearing the special edition Omega Seamaster Planet Ocean Chronograph, celebrating his carrier as an Olympic athlete. 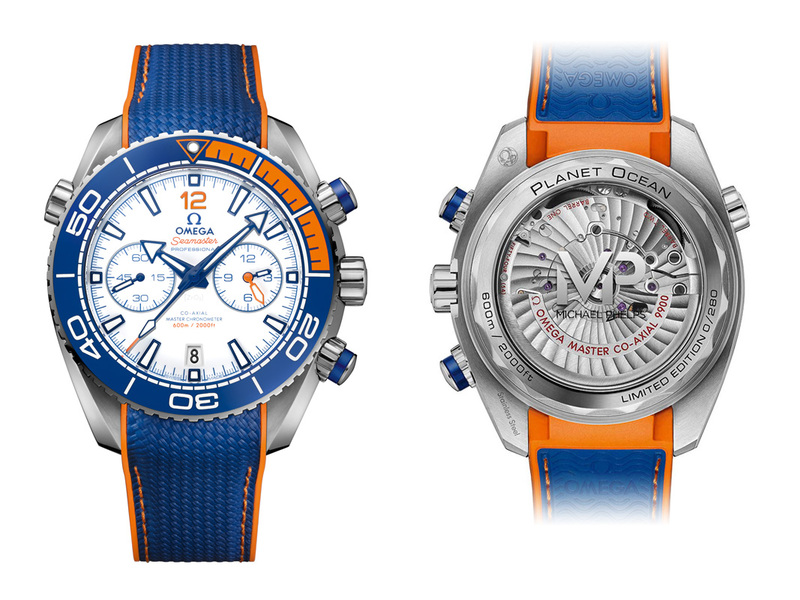 Omega is honouring Michael Phelps, the most successful Olympian of all times (28 Olympic medals, 23 of them gold), with a special, limited edition Seamaster Planet Ocean Chronograph in a daring colour combination of pool-blue and orange. The case is stainless steel with blue ceramic and orange rubber bezel inserts. The diving scale, along with the dot at 12H, includes Super-LumiNova which emits a green glow, while the minute scale, also filled with Super-LumiNova, emits a blue glow to avoid confusion at depth. The white ceramic dial is matched with blued applied indexes, blued hours, seconds and counter hands and an Arabic numeral at 12 in orange for more contrast. On the see-through back, behind the Michael Phelps logo, we can perceive the METAS certified Omega Co-Axial Master Chronometer Calibre 9900. 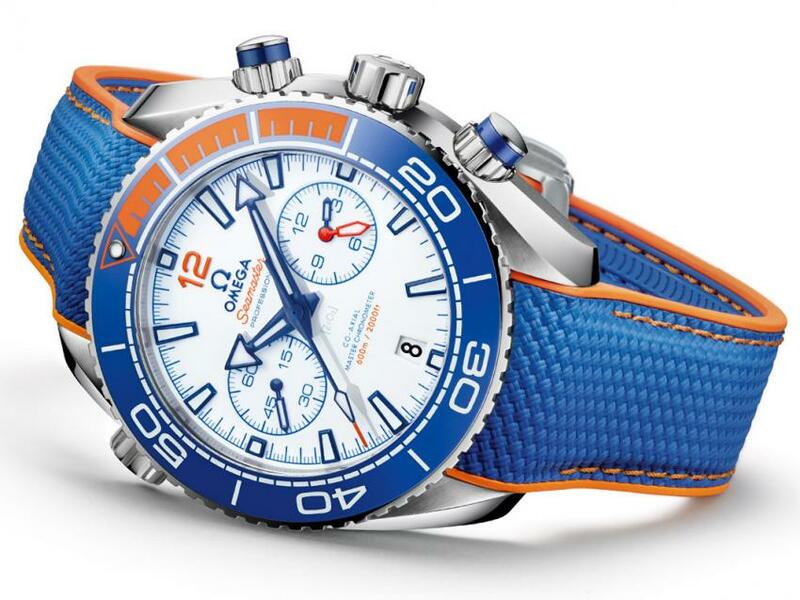 The watch is matched with a blue structured rubber strap with blue-orange rubber lining and orange stitching. To celebrate Phelps’ 28 Olympic medals, this model is limited to only 280 pieces. Considering the popularity of Omega and that of Michael Phelps, 280 pieces is highly limited, making it a collector’s dream. Later this year, some of these will hit Omega authorized retailers across Canada and the Vancouver Omega Boutique. The suggested retail price is $10,300.